Work at the front lines of building our brands and delivering best-in-class service. Within a customer service role, you could support several of our businesses, including Highmark Inc. (Health Plan Operations), Allegheny Health Network, United Concordia Dental, and Gateway Health Plan. Working in this role can provide you with a foundational knowledge of the health care industry and the ability to collaborate with multiple business areas. a holistic approach for each customer conversation, blending an empathetic attitude, problem solving & consultative skills to deliver outstanding service. a customized, personalized approach that simplifies the customer experience. to improve the lives of our members every day. foundational knowledge of multiple areas within HPO and exposure to other business subsidiaries. a position that is an excellent launching point for your career at Highmark Health. To best serve our customers, you must be knowledgeable about our health plans. There is a lot to learn, but we provide training, support, mentoring and ongoing learning, so you can always be confident and clear on every call. We help you understand how our health plans work so that you can maintain our systems effectively, update customer details and ensure that claims are processed correctly. With a strong base of training, our Customer Service teams build on their skills quickly and take on more responsibility. There are opportunities in the future to specialize in specific product areas, to focus on more complex customer cases or to move up into a People Leader role. Meet Adrienne, currently a Senior Client Service Manager at Highmark. 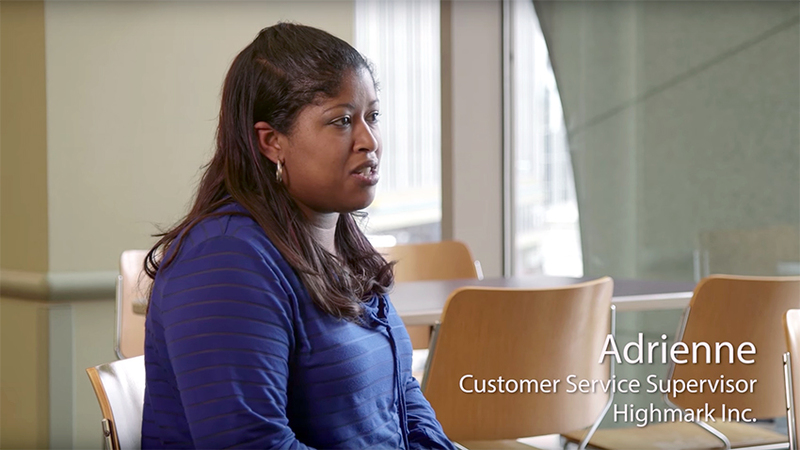 Adrienne talks about how she began her career in customer service and the various roles she’s held throughout her 10-year career at Highmark. 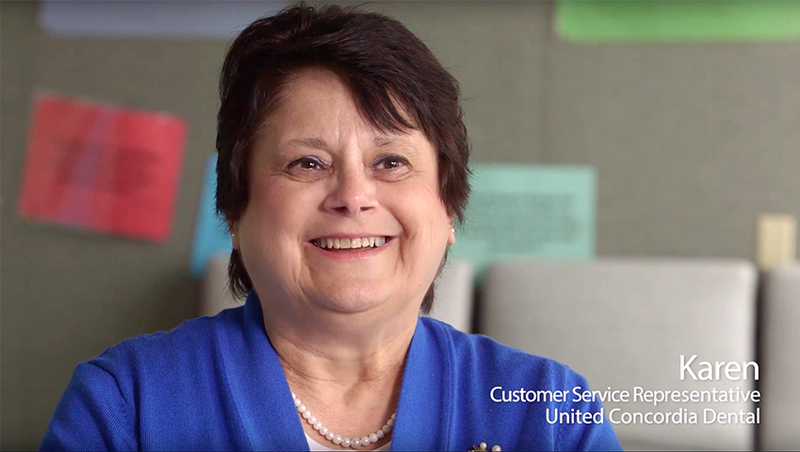 Meet Karen & Kelsey and hear about their experience working in customer service at United Concordia.